The automobile had just begun to make an appearance before the war. After the war it began to gain momentum as a means of transportation - a popularity that has grown unabated to this day. This film shows the early techniques involved in road paving. 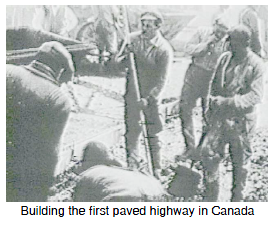 Road building is still a favourite government project.